Further to the collaboration between LCEDN and Practical Action (PA) under the 'Broadening Academic Dissemination Initiative of the DFID-funded 'Transforming Energy Access' project, the PA team based in Bangladesh have produced a couple of short "infomercials" centred around the issue of solar waste for which the target audience is the general public in Bangladesh. 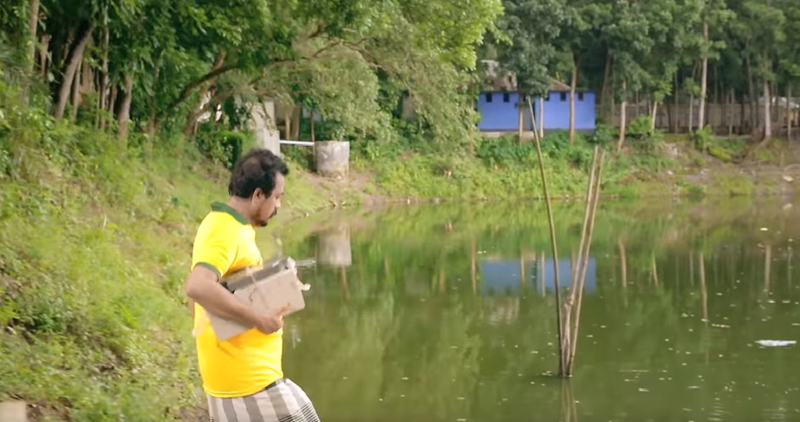 Practical Action, an international charity organisation has produced this public service advertisement to create awareness on solar and e-waste management. As Bangladesh is making progress in digitalisation, the usage of mobile electronic devices and appliances has grown. These used devices generate a massive amount of residues, which make their way to the open environment due to lack of awareness. Especially, since the practice of using solar energy has increased, the batteries being dumped have also made their way to the list of e-waste. The users, the waste pickers, and the workers who are involved in the e-waste recycling itself - are mostly unaware of the potential harmful effects caused by e-waste. Most users are unaware of any proper dumping mechanism and the waste pickers and workers involved in recycling are directly being exposed to the harm of e-waste. These also are exposing the mass population to heavy metals and acids coming from e-wastes, which can turn into a severe health hazard for the country. Practical Action, an international charity organisation has produced this public service advertisement to create awareness on solar and e-waste, and raising a voice to ensure occupational health and safety of workers who directly handle these hazardous wastes. As Bangladesh is making progress in digitalisation, the usage of mobile electronic devices and appliances has grown. These used devices generate a massive amount of residues, which make their way to the open environment due to lack of awareness. Especially, since the practice of using solar energy has increased, the batteries being dumped have also made their way to the list of e-waste. The users, the waste pickers, and the workers who are involved in the e-waste recycling itself - are mostly unaware of the potential harmful effects caused by e-waste. Most users are unaware of any proper dumping mechanism and the waste pickers and workers involved in recycling are directly being exposed to the harm of e-waste. These also are exposing the mass population to heavy metals and acids coming from e-wastes, which can turn into a severe health hazard for the country.